Kaylyn Senna came to us from Northern California where she discovered her passion for the beauty industry. She started her career attending school at Paul Mitchell, she then furthered her education by assisting at a high end salon in North Park as well as completing the advanced haircutting training at course at the Vidal Sassoon academy in Los Angeles. She actively partakes in continued education with companies such as Loreal Professional, Davines, and Wella. Her personable demeanor and innate ability to make every client in her chair feel comfortable has allowed her to build clientele quickly. 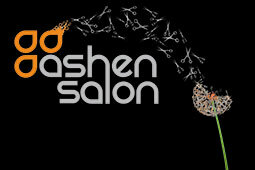 Kaylyn brings a fresh perspective into Ashen Salon; specializing in sun-kissed highlights utilizing freehand hair color techniques (hairpainting/balayage) ,individual and tape-in hair extensions, as well as precision haircutting for both men and women. Her clients are guaranteed to leave her chair feeling and looking great!